Matt is good at soccer, in fact he is great a soccer, better than anyone else in his town. He is not supposed to play too rough because of previous injuries and his manager, and younger sister is determined to make sure he doesn’t get injured again. The other thing about a manager is that they are responsible for making sure their player gets the best possible opportunities. To this end she reaches out and the most amazing thing happens. Matt his given an amazing opportunity with a soccer club in England. Before long the young manager realises she really needs to step up if she is to stop her brother becoming what others want him to be not what he really is. This is a wonderful, heartwarming story. Matt is a resilient character, quiet and friendly, he has a real peace and drive about him. His talent gives him joy, but he also feels responsible. His sister is the narrator and she drives the story along. The beautiful thing about this story is the family dynamic. They have their problems, their disagreements but ultimately they really care for each other and want what is best. There is a small commentary on the nature of professional sports but more important is the theme of friendship and not losing passion for the things you love. 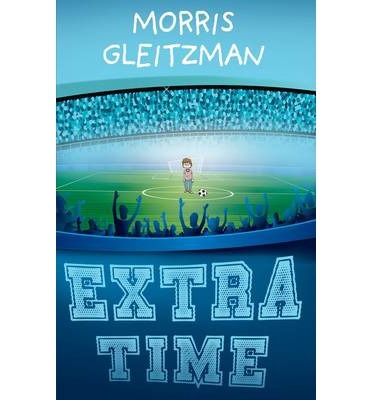 A thoroughly wonderful tale, told with Gleitzman’s experienced and balanced hand. The world is portrayed so realistically, from the small Australian town, to the estates of an English city and on to the glamour and wealth of professional sports. This is a layered story with a warm beating heart. The openness and joy of the characters even as they struggle to come to grips with things well out of their comfort zones is engaging. A real pleasure of a story to sink into and not just for those who love their sports.